IPv6 Certification has become a requirement of many employers, and a requirement to remain competitive in the job market. This video training course will help you master IPv6 and pass the Certified IPv6 Network Associate (C6NA) and Certified IPv6 Network Professional (C6NP) exams. You will develop an understanding of IPv6 addressing before moving onto more complex topics including routing, IPv6 services and redistribution. If you want to take the C6NA exam then you need only study the theory, if you wish to take the C6NP then you will need to follow all the lab exercises. Is a dual CCIE #25071 – RS/SP and Master of Engineering with 10 years of experience in the networking field. He also holds numerous other certifications (Cisco CCNA, CCNP; HP AIS, ASE, MASE), various Cisco specialisations and is a proud member of Cisco CCIE Advisory Council. 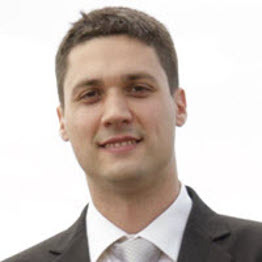 Dario works for a systems integrator and Cisco Gold Partner in Zagreb, Croatia where he lives. He is also involved in various international freelance consulting projects primarily in the area of routing and switching.